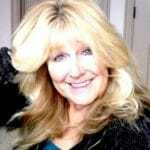 Song Writer/Singer Debara Bruhn Towt, The Second Genesis Awakening™ is Debara’s Vision for Humanity. Her music says Volumes about her own life’s Journey that’s been its Own Second Genesis Awakening. Always an Intuitive Counselor with an extraordinary Connection, her music tells a Story of her Life and it’s many Passages into Consciousness that has become a Walking in many Worlds. Her Presence is Her Medicine…her Words Bringing Comfort and Hope. Her Music can be Transporting, Connecting a person to Realms Within that have In partnership with her Mate and Best Friend, Adam’t Gardener, they have created a website called www.thehumanaccelerator.org and have made available two books that detail this incredible, Second Genesis Awakening Age and it’s many Possibilities available right here…right now…to anyone willing to Engage the Universe on It’s Own Terms.